Happy Friday everyone! Hope everyone is having a happy 1st day of the weekend. This week I decided I had to shake up my breakfast routine. 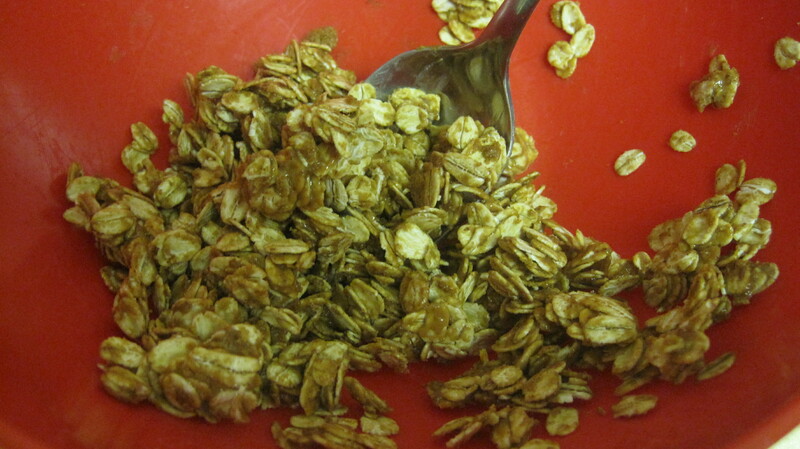 I love ginger granola, but you can only have it so many times before it gets old, right? So I tried the Fitnessista breakfast cookie! 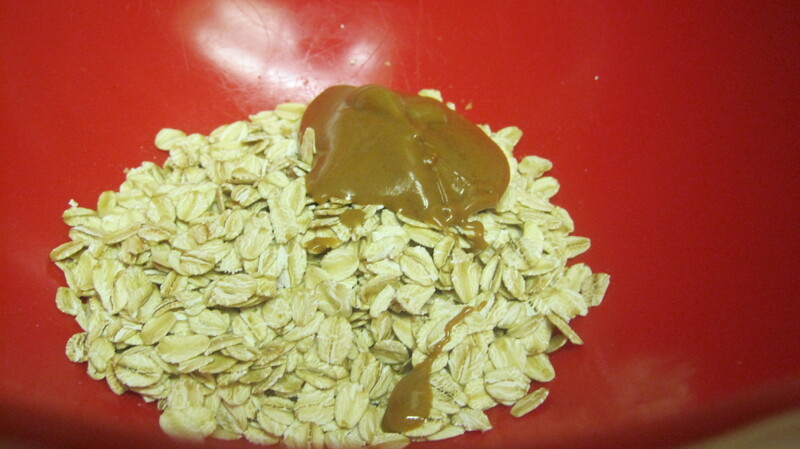 My favorite part of this treat is that you make it the night before, which really helps me get out the door in the morning.First you take a 1/3 cup of oats and 1 tablespoon of nut butter (I used peanut butter) and combine in a bowl. At this time I added spices I wanted to have. 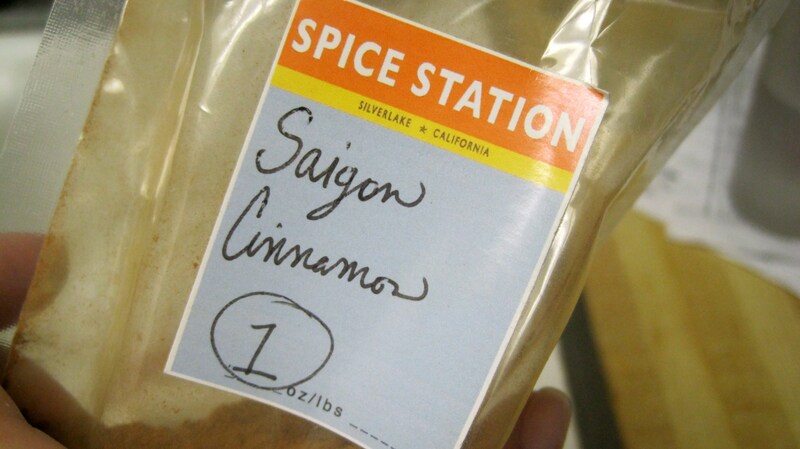 I added my favorite Saigon Cinnamon and a wee bit of brown sugar. 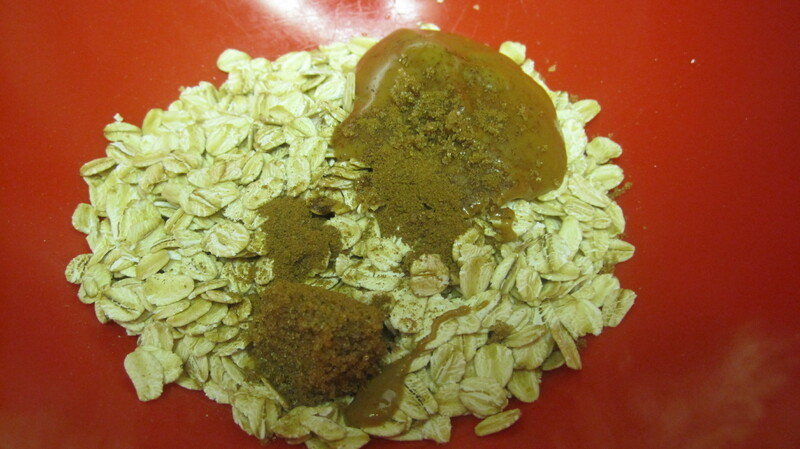 NOTE: I only added this because when Fitnessista makes this she used Vanilla Almond Milk, which has some flavoring, although not as sweet as sugar. And then we mix it up! 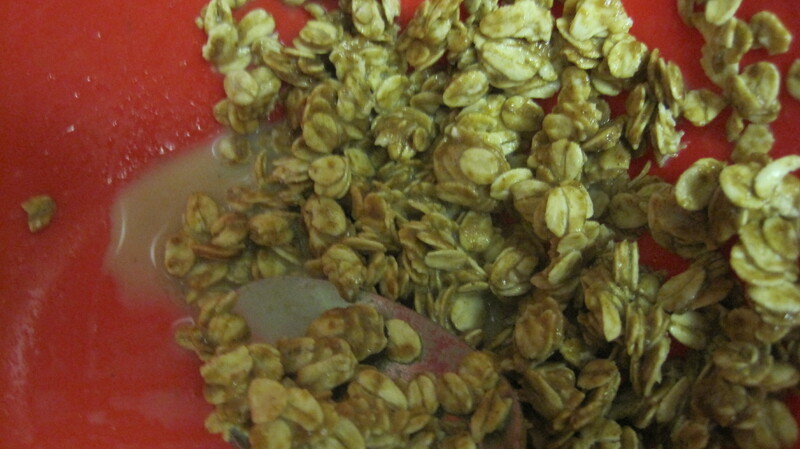 You mix the oats and extras until it is crumbly. Then we add an 1/8 of a cup of milk. I used skim milk. Continue to mix. 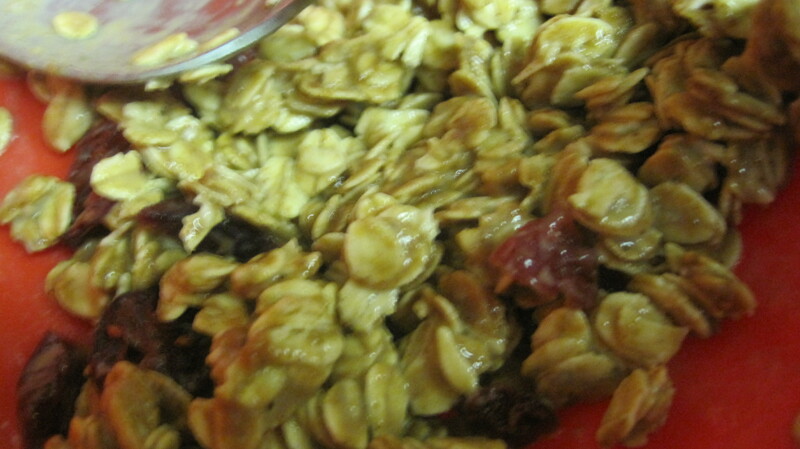 Cover and refrigerate overnight and in the AM just take the press and seal off and ENJOY! This actually kept me full and satisfied until nearly noon which is good for me. 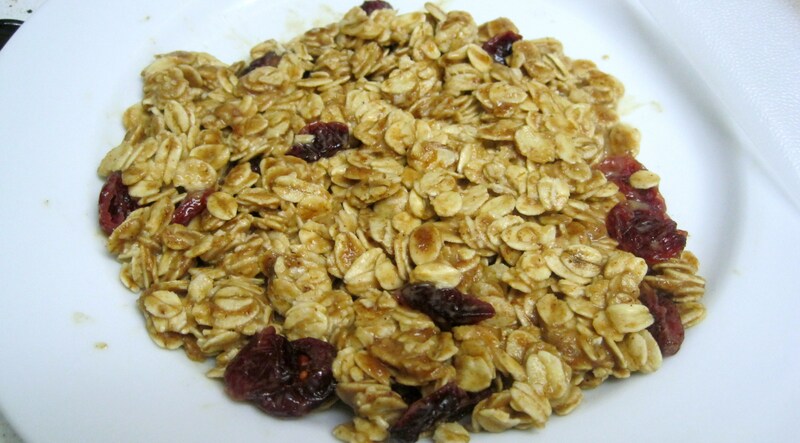 This is my new favorite breakfast treat! Who says you can’t have cookies for breakfast? cookie for breakfast?? LOVIN THIS!!!!!! !